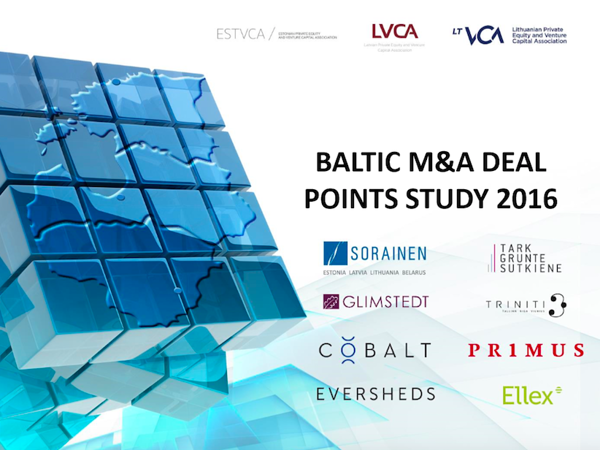 The majority of companies that buy Estonian, Latvian and Lithuanian enterprises also come from the Baltic and Nordic countries, according to the findings of the new “Baltic M&A Deal Points Study” that sheds light on the years-long work of eight leading law firms. The proportion of Estonian buyers is up, with nearly a quarter of purchasers coming from the smallest Baltic state (with Lithuania representing 19% and Latvia 9% of the buyers). The overall diversity of buyers has also increased. At the same time, Finnish, Russian and US buyer numbers are notably down, compared to the situation a few years ago. The majority of buyers, 66% are strategic buyers, while a quarter represent financial and private equity investors. Only 3% of buyers are private individuals – a number that is significantly down from the 13% in 2013. Management buyouts, always a small but interesting part of the market, represent another 3% of the transactions. The survey was conducted by the Estonian, Latvian and Lithuanian Private Equity and Venture Capital Associations, based on contributions from eight leading pan-Baltic law firms and alliances, Cobalt, Ellex, Eversheds, Glimstedt, Primus, Sorainen, Tark Grunte Sutkiene ja Triniti. Presentation events will be held in all three Baltic countries.